Offering numerous options for all price ranges, Protect America provides consumers with the ability to choose the best plan for their family and their budget. Voted a Consumers Digest Best Buy, Protect America combines great rates and state-of-the-art technology with award-winning service to provide you with incredible flexibility and customer satisfaction. Protect America has an app for Android devices as well as iPhones and iPads called SMART Connect. This app allows you to control your home security components at the touch of a button from anywhere. It allows you to arm, disarm and view the status of your alarm and also utilizes its Z-Wave technology to control lights and appliances throughout your house. If the plan you decide on includes video surveillance, the SMART Connect app will allow you to view a live video stream of your cameras. How Much Does Protect America Cost? Many security companies offer just three plans to choose from, but Protect America offers five plans for its home security systems. The Copper Package ($19.99 per month) is a great choice for small residences like apartments. The Bronze package ($35.99) generally will work best for homes under 1,200 square feet. The Silver Package ($37.99), Gold Package ($39.99) and Platinum Package ($42.99) not only cover larger homes but also offer additional options. All systems can operate without the need for a landline, instead relying on a technology Protect America has been perfecting for years. Landlines can be used if desired, in addition to broadband Internet and cellular technology. 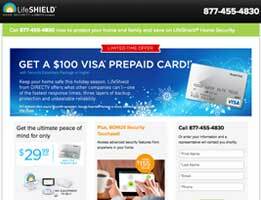 Protect America offers not only home alarm systems but also life safety options. Monitored fire and carbon monoxide detectors can alert the monitoring company to smoke or a sudden rise in temperatures even if the alarm system is unarmed. Also available is a medical panic button that alerts medical authorities when the button on the pendant or wristband is activated. Plus, Protect America offers a comprehensive automation system that includes optional sensors, expanding your ability to protect your home not only from intruders but also from costly damage caused by household malfunctions. A sensor installed in your freezer can warn you if the freezer door is open. A flood detection sensor by your water heater informs you of a leak. The system can also control lights and appliances, a great way to conserve energy. For over 20 years, Protect America has been working to continually update its technology to safeguard the security of its customers. 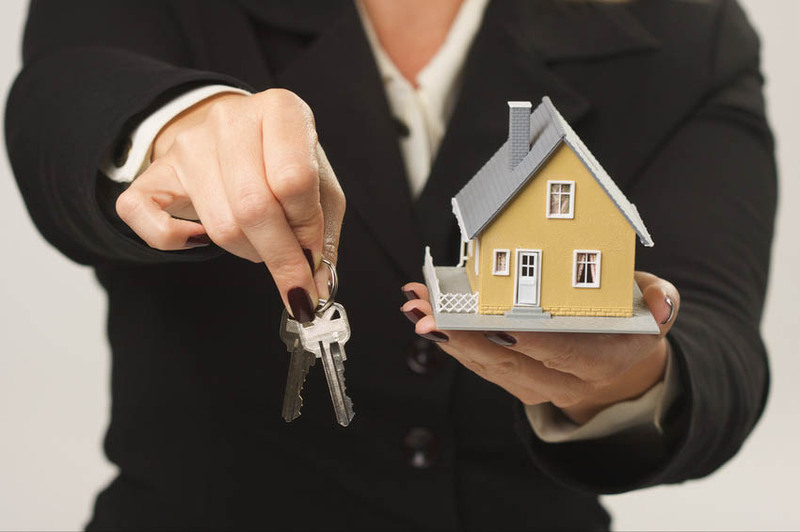 The large number of plans offered will match homes of any size, meet all your needs and fit within your budget. Protect America sets itself apart by offering sensors and services that many companies do not. Buy Protect America with confidence. Thank you for reading our Protect America Security reviews. This is the third company I have used for an alarm system and I am never changing. With other companies I had so many false alarms because of bad sensors that I lost count. I am extremely happy with Protect America. 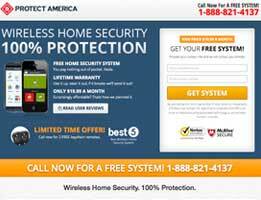 Protect America has a great alarm system with the best customer service. Stop your search. I will never forget the January day I returned from work to find my back window shattered. Replacing my TV and DVD player are easy but it is much harder to replace the feeling of being safe in my own house. Every noise made me jump and I found myself trying to avoid returning home at the end of the day rather than wanting to get home and relax. A friend of mine recommended Protect America and I am so glad he did. Two months exactly to the day my house was robbed, my system was in and I was regaining my life. Their customer service is top notch and performed above and beyond my highest hopes. I will recommend Protect America to everyone I know. My mom has them scheduled to come out at the end of the week to install her system as well. They don’t charge for their equipment and they warranty it. Prices are very reasonable and in line with their competitors. A few years ago, my husband decided that city life was no longer the good life. He said the city was too crowded and not a good environment for us to raise our family. I agreed at the time, dreaming of the easy living of the country with clean air, big trees and no close neighbors. Sounds great right? Well my delusion was a shattered after a few months when our house was broken into while I made the 55 mile round trip to our nearest grocery store. I soon realized that crime does not disappear when you leave the city. Oddly enough, I fely safer when we lived there because at least there were others around who, although maybe not purposely, were watching what was going on around them. Now we are living in the middle of nowhere with our closest neighbor 2 miles away. I was ready to sell our house and return to the hustle and bustle of the city but my husband suggested a security system. He thought it would provide peace of mind as well as make me calm down! I no longer wanted to be home alone during the day with our son because I thought it might happen again. I agreed reluctantly to try an alarm but made no promises that it was a game changer. After a bit of online research, we decided to go with Protect America because of the combination of their rates and the fact that there were no installation fees. They are not the cheapest but I believe you get what you pay for. The customer service is great and I know that if I have questions or concerns ,I can reach a real person to help me feel at ease. Believe it or not, the alarm system did the trick. I am happy her in the country and feel at ease knowing that I am protected in my own house. My husband thanks Protect America for allowing him to live his dream of living outside the confines of the city. I have two words for you – Video Monitoring. I will admit that I am a bit of a tech junkie, ok I’m a nerd. I love the fact that Protect America utilizes a wireless system and I don’t have to have a home phone line. Let’s be honest, I haven’t had a home phone line for many years. Plus who wants a bunch a wires in their house and the mess and issues that go along with it? So when I started traveling a bit for my job, I though it might be time to invest in a home security system. Then I found out I could also have video monitoring with Protect America AND I can view my house while I am gone. The technology is up-to-date and there is even an App that allows me to arm and watch my house while I am not there. A few buddies of mine have even changed to Protect America after seeing the awesome protection provided by Protect America. I am a twenty-something that recently moved into my first place. I had always lived with someone else, either my family or a roommate, and the thought of living alone spooked me a bit. At first, I kept telling myself I was fine and to buck-up but I was exhausted from not sleeping well. Every noise I heard made me jump. I have to be honest, I was the girl with the baseball bat that would slowly sneak out of my room every time the house squeaked or settled. Seriously, what would I do with a baseball bat if there was an intruder? After too many sleepless nights, I decided an alarm system might help settle my fears. Protect America is a consumers digest best buy which initially caught my eye. After some research, I decided to call and ask some questions of the customer service rep. She was so patient and never laughed at m silly questions. I decided to proceed with Protect America and had the system installed immediately. I am so happy to be sleeping again! I feel like I have a set of eyes watching over me and its great. There are times when you may not think you need a home security system, but don’t let this put you to sleep. You never know when danger is going to arrive on your front doorstep. I purchased the Protect America just in time. I think somebody tried to break into my home after installing this, but it scared them away. My family is thankful for everything that the Protect America has to offer, and I definitely feel the same way. 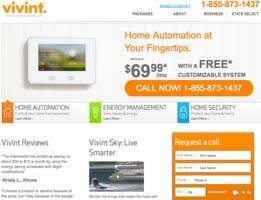 If you want to better protect your home, take the time to purchase this system. It will be for the better. I am very pleased with Protect America. After using the services for one year I am convinced the home security systems on the market are not as good as Protect America. I love that there is no commitment to Protect America and the wireless home cameras are a nice feature that let me view our home when we are away. We went to Greece for spring break and we were able to check on the house daily thanks to the time difference and the features from Protect America. 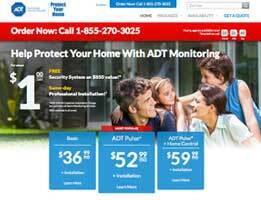 Overall I’d say Protect America is an excellent home security company and their customer service is excellent. For sure Protect America is the best value for home security systems. 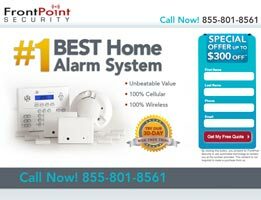 You will not find an alarm system with such smart features as the Protect America system, especially when you think about the price and compare to others. We are a young couple with a baby. We are not in a great area at the moment and the best part of Protect America is you can take it with you when you move! Not all home security systems are like that. We were looking for home security systems that offer wireless cameras. That is an easy thing to find but I love that there is no contract with Protect America. Home security cameras can get expensive and I like that with Protect America I do not have a contract in case I decide to get rid of the service. I am very happy with Protect America and their services because they do not try to upsell or push you to buy extra things. They are nice people who handle customers well and are happy to answer questions. I don’t think anyone would be disappointed with Protect America. I like that you can take the Protect America home security system with you if your lease is up. For those of us who are still renters Protect America is ideal. 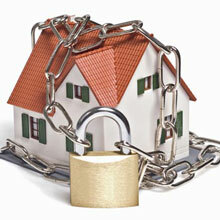 Home security systems can be very expensive but Protect America works for many budgets. Three cheers for Protect America! I live alone on a fellowship at the largest university in our city. It may be a large school but that doesn’t mean my stipend is much. I am working on exciting things with the school and my research department and I definitely didn’t get into this for the money, so I know how to make my dollars stretch. Anyone in my position would have to do the same. I am now living off campus so I don’t have a security system and decided to start looking for an alarm that would protect me. The wifi camera on Protect America is awesome because it allows me to check my front door area before I drive up. Sometimes I am in the lab very late at night and come home well after 10 o’clock. With Protect America I can see my front door and where I park my car and make sure no one is there. 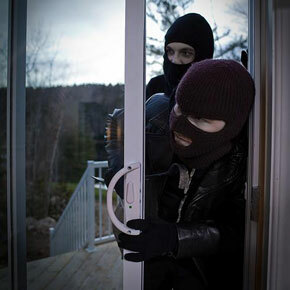 It is common for robbers in areas to watch people’s patterns and see what time they are coming and going. With Protect America I do not have to worry about falling victim to one of these crimes that may be preventable. I feel confident with Protect America protecting my space. I like that Protect America lets me put motion sensors near our garage so I can see what’s going on over there. This is a home security system that does everything it says it will. You aren’t wasting your money with this device. I was looking for a home security system that let me install cameras without much muss and fuss. 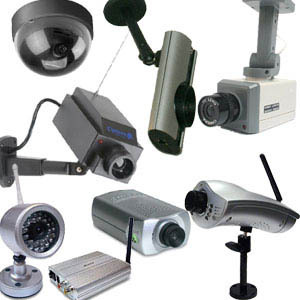 Protect America allows you to order additional cameras, which is perfect for those with a detached garage. Because we have a side door in addition to front and back doors, Protect America lets us have eyes all around the house. This may seem extreme, but we recently had a break-in that hurt an elderly woman only two streets away. This crime occurred in the middle of the day, which shows you how bold criminals are getting. I’m hoping Protect America deters them so my family stays safe. How Much Should I Pay for a Home Security System?